Last year, six projects were selected to take part in our pilot Crowdfunding programme - benefitting from a bespoke series of workshops and one-to-one sessions delivered by Paved with Gold. 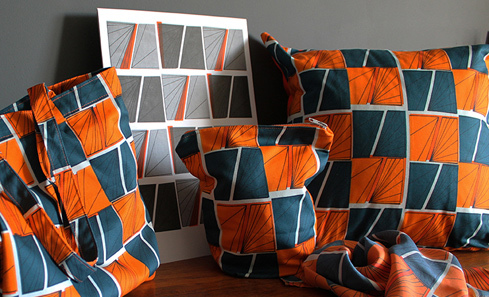 Today, Stonehaven based textile designer Mhairi Allan is the first of the projects to launch with Paper Houses Design, a new lifestyle brand influenced by mid-century modern design, Scandi-style and geometrics. 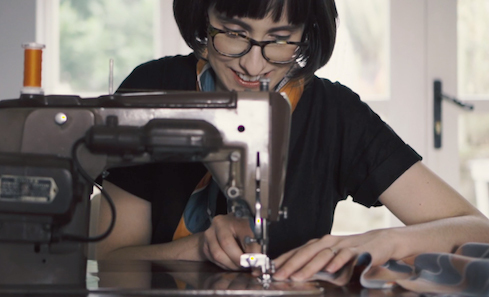 Inspired by her surroundings, Mhairi is on a mission to improve the textiles industry. We grabbed a chat to find out more. 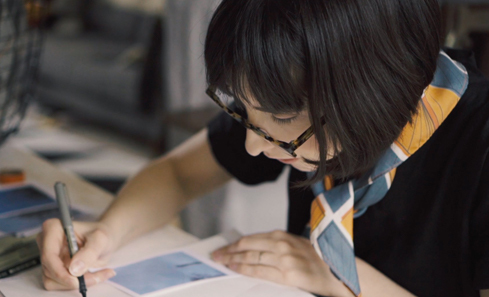 Find Paper Houses Design's Signals project over on Kickstarter. Congratulations on launching your Kickstarter! Give us the pitch – what’s it all about? So, Paper Houses Design is launching our first lifestyle collection called Signals on Kickstarter. Signals is digitally printed and designed to be more sustainable and long-lasting. Using the latest digital printing technology it uses less ink and water waste. We're excited to launch our new collection that's already supported by industry leaders, creative organisations as well as a community of design enthusiasts. What was the inspiration behind the Signals collection? The collection is inspired by the electric and phone cables that run into houses in small seafront villages in Aberdeenshire. These wires connect us to each other and the outside world but we need to remember to take time out to connect back with ourselves. Why did you decide that crowdfunding was for you? We decided crowdfunding was the way to go for the pre-order of our collection simply because Signals is designed for your lifestyle and we wanted people that were interested in what we are doing and what we stand for to be part of our sustainable growth. Tell us a bit about the journey you’ve been on with Paved With Gold and the other projects? It’s been great! Paved with Gold have helped so much. I knew I wanted to launch via Kickstarter and I knew a little about the platform but working with them has made me realise that there is so much more that goes in to planning crowdfunding campaigns. They’ve also been great help with marketing strategies and have encouraged us to directly contact people that might find the project interesting. It’s also been amazing to see all the other projects develop, discuss common issues and share resources with the other participants. It’s definitely added another positive layer of support to have such a good range of people taking part in the workshops. I can’t wait to see everyone’s finished projects launch! What are some of the top tips you’ve learned? Plan out everything and give extra time for hold ups. The launch has been developing since September and when you have other things going on too you need to give yourself a realistic time frame. Don’t just focus on the things that haven’t quite worked or that have tripped you up along the way. You need to appreciate all the hard work that’s went in and all the successful things you’ve achieved. What advice would you give to other creatives wanting to get their idea off the ground? Get the idea out of your head and down on paper. Workout all the things you need to do and look for who can help you get them done. Whether that be through funding, mentoring, talking an idea over with another creative or paying a freelancer to make a sample so you can do something else that’s needing done. You do not need to be amazing at everything or do it all on your own. Paper Houses Design is solely run by me but I see the brand as a team because the support I get from creative bodies, other creatives and freelancers makes it all possible. 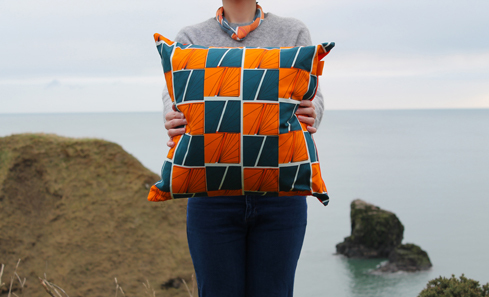 Mhairi is looking to launch and market her first batch-produced collection of textile products, inspired by landscape, life and community in Scotland. 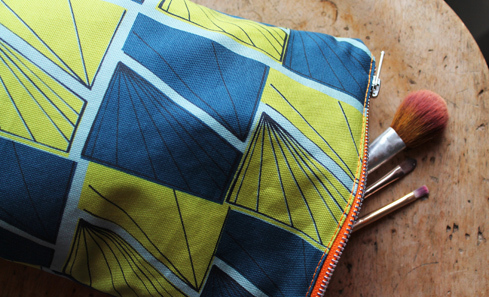 The range includes cushions, a group of cases, a tote-bag and a premium silk twill scarf in three bold colour-ways thoughtfully designed to be used all year round and transcend seasons. Rewards for contributors include items from the collection and a special edition riso print exclusively available for the crowdfunding campaign has been made in collaboration with Risotto Studio, Glasgow. Run by Creative Scotland in partnership with Paved With Gold, Crowdfunding Creativity is a pilot mentoring and match-funding scheme for those looking to embark on a crowdfunding campaign. It aims to provide people who are working in the creative industries in Scotland with the skills and knowledge to develop their own successful crowdfunding campaigns. Over the course of the programme those selected to take part will learn not only how to develop their crowdfunding campaign but also gain key skills to help them support their creative practice. The projects selected include an audio picture book, a pocket-sized family board game, a luxury sleepwear brand, a textiles lifestyle brand, a new wellie boot brand and an artist run gallery space.